My daughter's skating club came up with this idea (well, actually, they may have borrowed it). 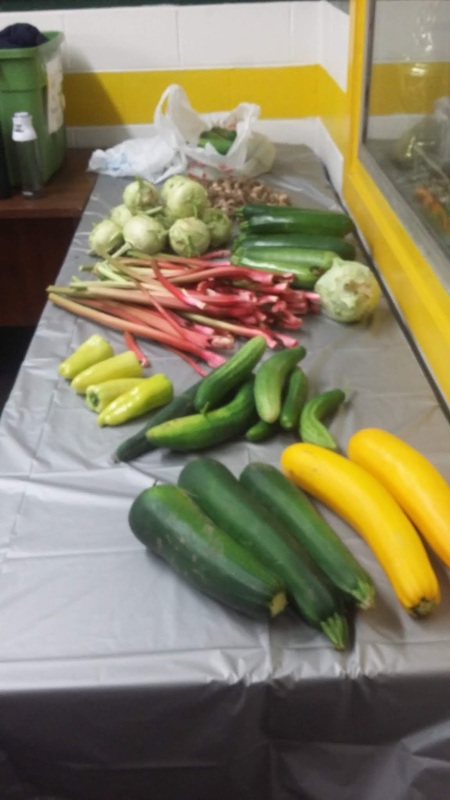 Members were asked to bring any extra garden vegetables they wanted to get rid of and they set up a veggie exchange table at the ice rink last night. It was a surprising success with people bringing everything from zucchini to garlic to share.